2. What are the Advantage & Disadvantage of GST? After Lauching of GST Real state rates has become high. In India Under GST some services has become costlier like telecom, airline and banking service etc. For small businesses’s cost increased b’coz GST is Online Taxation system and many people not able to do GST filling online so they hire professionals for filling. Many businessmen across India still unaware about GST System. 3. What are the rates of GST? 4. What are the different types of GST? 5. What is the GSTN? GSTN stand for Goods and Service Tax Network. It is a non-government & non-profit organization. GST portal is managed by GSTN, in other words we can say that entire IT system of GST portal managed by GSTN & It is IT Backbone of GST in India. Government used GSTN for track Taxpayers financial transactions. GSTN provides all services like GST registration to GST return filling to taxpayers. 51% shares in GSTN is owned by private sector & 49% shares in GSTN is owned by Government (State & Center Government). 6. What is my GSTIN number? 7. What taxes are replaced by GST? All above listed Taxes replaced by GST. 8. When GST applied in India? In 2000 Year GST's Journey started when a committee was set up to draft law. On 1st July 2017 the GST came into effect when GST bill was passed in the Lok Sabha & Rajya Sabha in 2017. 9. 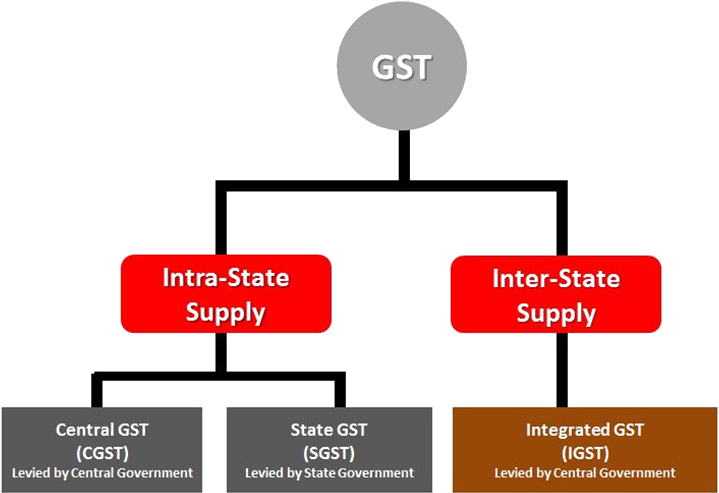 What is the difference between CGST, SGST & IGST? CGST, SGST & IGST are types of GST, all levied on Goods and Services. Full Form of SGST is State Goods and Service Tax that is levied on Intra-State supply of Goods & Services and governed by State Government of India.